It’s quite hard to imagine ourselves without the internet. There’s hardly anything that doesn’t require us to use the web in the present world. This is the reason why modern manufacturers are introducing competitive WiFi units with excellent technology. After all, nearly all our devices run on WiFi and it must satisfy all user requirements. While WiFi speed elicits much attention from users, they usually forget about another important requirement, i.e. WiFi coverage. We just can’t ignore the portability of our devices. There’s no point in having your WiFi network in your living room while losing it altogether in the basement. Well, your wireless network must reach in every corner of your house so that accessing the web in any area becomes possible. The necessity of expanding the range of your WiFi is just undeniable! Thankfully, there are ways in which you can make your wireless network accessible in any area you want in your house. In this post, we’re discussing 3 methods you must follow if you want your complete house to be WiFi accessible. These ways are totally handy, so, you won’t have to be a network engineer to perform these. 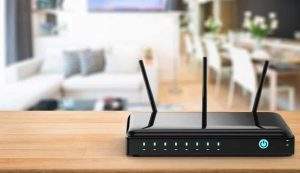 The first thing to do when you feel the need of extending your wireless network in your home is buying WiFi range extenders. The best thing is that having a new netgear WiFi extender setup is very easy which even a novice home user can also perform. Range extenders or boosters are devices meant for amplifying the range of a wireless network so that it reaches even those areas that were previously bereaved of it. Let’s understand it with an example. You are a YouTuber and want to make videos on the poolside of your house. Since your access point (the source from which you are receiving your WiFi network) is in your living room, the poolside doesn’t catch any WiFi signals. What would you do then? You install a wireless range extender in an area which lies in the middle of both access point area and the poolside. The extender will pick up your WiFi from the access point and carry it to the poolside. In this way, the extending network in the pool area will let you enjoy your WiFi and the internet there to make YouTube video easily. Now here come two considerations: bandwidth and coverage. If you need only to extend your WiFi range and can compromise on the speed (bandwidth), you can go for a single-band model. On the other hand, if data transfer speeds are also important for you, it would be nice to install a dual-band model instead. Netgear is a nice brand that includes FastLane technology in their extenders. This technology makes it possible for users to enjoy better WiFi coverage and bandwidth at the same time. For a better experience, you can also install more than one WiFi boosters in different locations of your house. In this way, you can remove more blind spots (the areas where WiFi signals don’t reach) from your house. Using routers as access points strengthens WiFi signals. You can use both new and old router for this purpose. Do this by establishing a connection between your base router and the LAN port. Some models such as Airport ones feature an inbuilt bridge mode. In such a case, you can use the model that has the provision of access point mode. Use WAN port for this purpose. Another reason why routers are a better option is when individual access points cost more than having a router in their place. Besides, routers feature many LAN ports, usually which enable them to be used as hubs. This is good if you want to connect more wired devices simultaneously with your WiFi network. You can use either wired or wireless connectivity here. Be it anyway, using a router as an access point is a good way to expand your WiFi coverage. These things are technical and require you to have proper knowledge of all the options. It’s recommended to consult expert technicians at mywifiext-net.support to assist you with step-by-step instructions. Wireless repeaters or extenders are good but you will have to take care of frequency bands. Choosing lower frequencies means investing only in WiFi network range. But you need better bandwidth as well. The solution is to buy a mesh system which will extend the range as well as improve data transfer speeds as well. The best part is that these units contain tri-band support. This feature lets you use three frequencies on one unit. Furthermore, you will be connected to the same WiFi network that your router is using. This is a good way to enhance your WiFi network range.